Cindy is a real sweetheart. 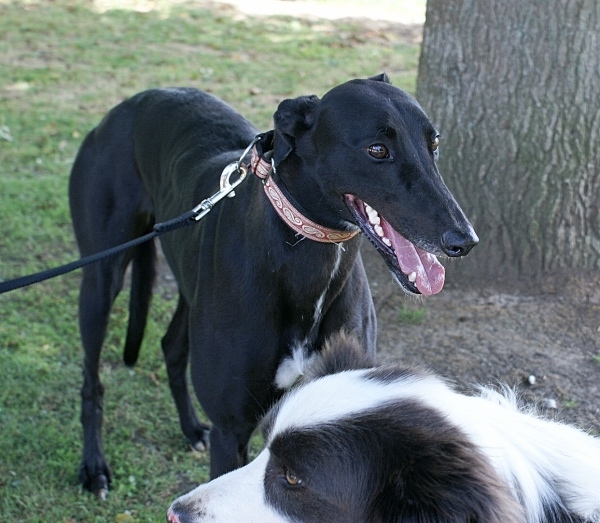 She is affectionate and gentle and behaves well with the other hounds and other dog breeds. Cindy will enjoy a home where she can have plenty of cuddles and loves. She can live with another well behaved dog and could learn to live with a cat too. She is quite playful and cheeky at times and some initial training and boundaries would not go astray. However you will reap the benefits of happy and confident hound who will give you her all.